Is the Arduino STAR OTTO open source? 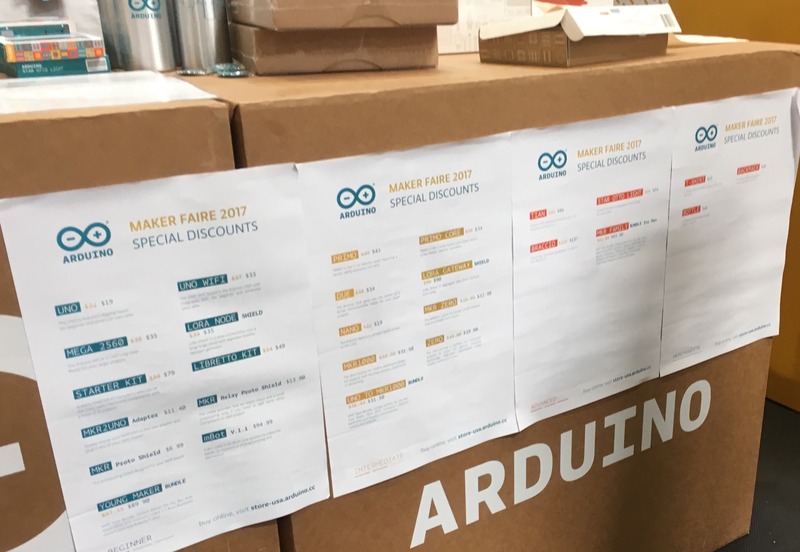 @ST_World @ArduinoOrg @ST_News @arduino #freearduino « Adafruit Industries – Makers, hackers, artists, designers and engineers! Arduino STAR – OTTO. The board was available at Maker Fair in May of 2017 and according to the arduino.org Twitter account “it soon will be available from distributors.“. Searching on Ocotopart, all there is a PDF from STM from 2016, when it was announced, so far we could not find which distributors will stock it. The Arduino Star OTTO was sold at Maker Faire 2017 in May as well for $54 (unboxing post). It is advertised as open-source. The Arduino Star OTTO was announced and shown over 1 year ago. 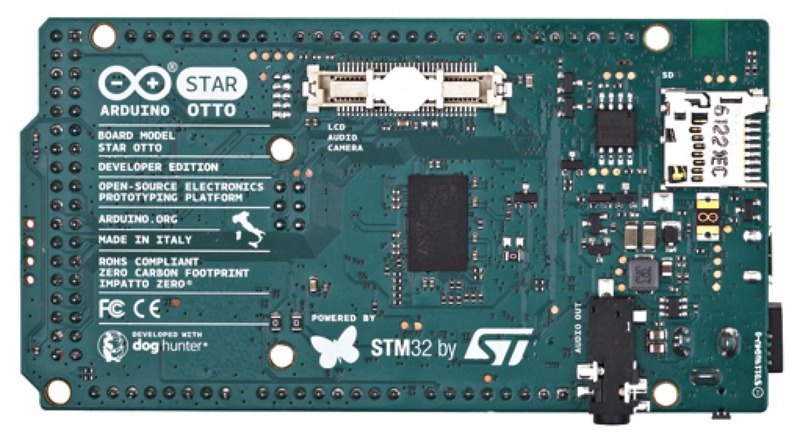 The Arduino Star series of boards feature ST Microelectronics processors, and the first of the series is the STAR OTTO. The Otto combines the power of the STM32F469 processor and an Espressif ESP8266 for WiFi, with several on-board peripherals, such as a micro-SD slot, a connector LCD-Audio-Camera, an USB Host, an headphone and speaker output, and an on-board stereo microphone. The board physically says “Open-source electronics” on it. There are no PCB design files or licenses on any files available. The schematic (PDF) has no license indicated. “DogHunter” logo is the only ownership indicated as author. We emailed arduino.org for comment regarding the open-source status and claims for their products, they have not replied. Arduino INDUSTRIAL 101 – Is it open-source? I have been under the understanding that Arduino hardware work is now going to all be on the arduino.cc website. Since Arduino LLC and Arduino SRL reconciled, I have not seen any updates on the Arduino.org product page, so I believe that information found on arduino.org should be discredited at this time. This does not solve all of the issues with quasi-open source (I found a few on the .cc domain), but I believe they are still working out differences there and will fix things up soon(-ish). “Arduino is open source HW and SW. Full stop. regardless of the file location, if they (arduino) ever publish the open source files for the open-source electronics they are selling, why does the PDF say “DogHunter” as the owner and no license? as far as who owns the “arduino” trademark and domains (all of them) – here ya go. Thanks for linking to my unboxing! My understanding from other sites is that the merge of the Arduino entities (especially the division between the open source side and the hardware side) is still a work in progress. It strikes me that the Star OTTO Light may be simply an early production run… Or someone realized not everyone wants to pay a premium for a graphics chip, etc., on this board. @martin, thank you! i checked out the github and… wow, yah, that’s an issue! The fix isn’t trivial but it’s just a matter of securing the firmware (closing holes like #25) as well as securing the setup process. However, I’ve seen no feedback from Arduino on these issues yet.